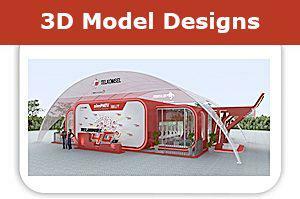 Are you looking for contemporary graphic designers and 3D rendering modeling services? Capital Exhibits is one of the top graphic design companies that can help clients in Colorado, CO. Our professional graphic designers can provide next day services for any types of 3d modeling or print design services for clients in Denver, Colorado Springs, Aurora, Fort Collins, Lakewood (CO) or their surrounding areas. Regardless of your industry our team is up to date on the latest graphic design trends & techniques to give your company a leg up on the competition. 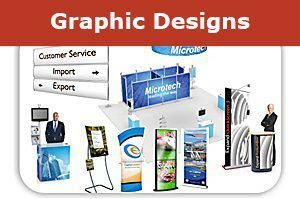 We also provide large format printing services on fabric, vinyl, mesh and more. Our skill graphic designers can help you on your trade show display graphic designs, business cards, brochures and flyer. Submit your request for your next project to our high skill designers in the US to provide you with the most professional and clean cut print design or 3D rending design. Try one or any combination of these products and see the difference it can make in your sales. Our graphic design capabilities doesn’t stop at trade show displays. Our brochure design work is ideal for potential customers to take home and learn more about your company. Order business cards to have on hand at all times or order custom a tee shirt design for your staff to wear. Not only can we create the best graphic design idea for your company, we can do it quickly and at an unbeatable price. We don’t offer cheap graphic design, we only offer quality, value professional design work and products that get to you when you need them. To get more information about logo design prices, print design pricing, t shirt graphic design prices, and all other graphic design quotes & rates go to https://www.capitalexhibits.com/request2.html. We have the capability of creating an innovative logo to improve brand awareness for your company, regardless of what industry you’re in! Our graphic design images & advertising here at Capital Exhibits will create a streamlined logo and brand image for your business which will lead more customers to your door! Ordering is easy, just visit our website at SHOP and browse through what we have to offer. If you are ready to order or have questions give us a call at (866) 730-3746. Don’t have time to talk? Send an email to sales @ capitalexhbits.com . We look forward to working with you to improve your business!